MUSTAD FOR FISHING - WELCOME TO KENHOOK! We soon close our store after more than 10 years. Therefore, we give you another 50% discount on all products beyond already greatly reduced prices. The discount will be deducted from the checkout if you enter the offer code SALE. Kenhook is a Swedish company that sells Mustad fishing hooks over the world at extremely low prices. We offer 85% discount or more on the recommended retail prices. We have about 7 million new hooks in stock in 300 different models, including single, fly, double, special, large and vintage models. You can read more about kenhook and our hooks on the "About Us." 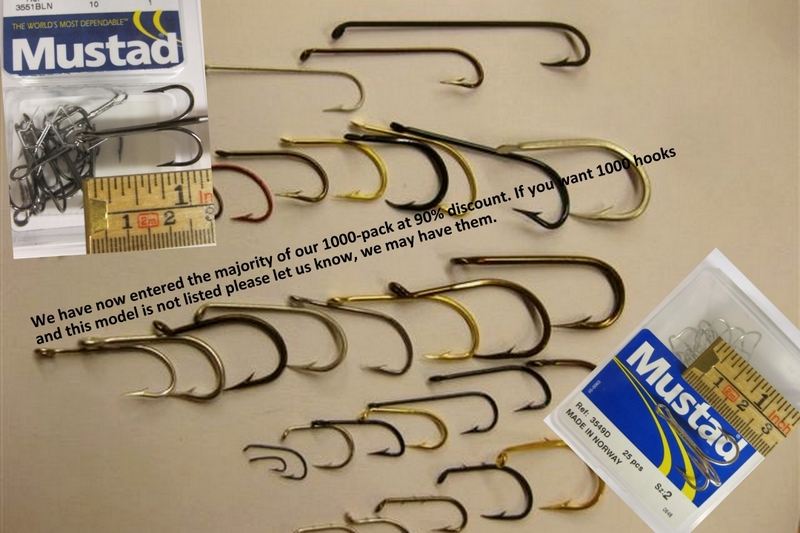 We hope to sell entire stock to a buyer or break it down into a few parts (see page "Trade"), but of course we are also happy to receive orders from anglers who want to fill their fish boxes with good quality hooks from Mustad.